There seems to be new crisis within the ruling party, All Progressives Congress APC in regards to sharing principal offices in the Senate. The principal offices are the Senate Leader; the Deputy Senate Leader; the Chief Whip and the Deputy Chief Whip. The President of the Senate, Bukola Saraki, is believed to have recommended to the APC National Working Committee that the positions be allocated to the zone, however, some leaders of the party, mainly those from the South-West, want them filled by the party’s hierarchy. On Thursday,a senator in Abuja said that the APC NWC meeting failed to agree on the modalities for brokering peace among aggrieved party members. “The Senate President, had after wide consultations, suggested how the officers to occupy these posts could be appointed. He suggested the allocation of the four principal offices to some of the geopolitical zones. “But some leaders, who are still angry with his (Saraki) emergence, turned down his suggestion. Some of the influential leaders from the South-West are insisting that the party should fill the offices. 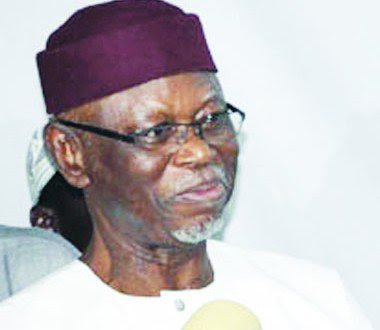 This is in spite of the fact that the chairman of our party (John Odigie-Oyegun) and other members of the NWC are in support of allocating the principal offices to zones. A Senator from the North-Central , who is loyal to Saraki, confirmed the development on condition of anonymity . He said that it was true that some APC leaders were insisting that the party should nominate the senators who would occupy the four principal offices . “By the Senate tradition, the party in majority normally sends the offices to the zones where the Senate caucuses would meet and choose among themselves in the zone, who occupies the offices. “Some of us were just called by some members of the NWC intimating us of details of a letter forwarded to the body that it should just fill the remaining four leadership positions in the Senate. It was further learnt that some senators had already met with some NWC members asking them to ignore the letter. They were said to have insisted that the tradition remained that the zonal caucuses which did not produce the Senate President and his deputy should meet and nominate among themselves. They added that it was when there were two or more nominations that, an election could hold and that whoever scored the highest votes would be the candidate. Efforts to get the spokesperson for the pro Saraki group, Dino Melaye, proved abortive because he couldn't be reached on his mobile phone. Spokesperson for the Senate Unity Forum, a group of senators loyal to Lawan, Kabir Marafa, argued that the choice of other principal officers who are not elected on the floor of the Senate, remained the sole business of the party leadership. He said, “How can the executive of the party at the zonal levels determine who will be made the Senate Leader, the Deputy Senate Leader, the Chief Whip and the Deputy Chief Whip?